what do you mean: Power connector for the transformer? What transformer?? but i cant understand how the wires go in to the potentiometer what wire goes to what connection?? Center leg of the potentometer goes to the base (center) leg of that BC547. There are still two legs left on that potentiometer and other goes to the commong ground like all of these components and the other leg goes to the plus wire coming through that 7812 and also connects to that BD442 emitter leg. ok, but will a stereo potentiometer do? Just use one "side" of it and it should work. It is hard to say why it didn't work. Maybe you shorted some connections with those multimeter leads or something. Just go through those connections again to see what is wrong. I think that the transformer is giving too low voltage. That regulator needs slightly higher voltage than 12 volts so it can regulate it to 12 so you just have to find a transformer that gives higher voltage. <=15 should do the trick. That 11 volts should be enough for most mods anyway so you have to decide if you want to spend some money for that higher voltage transformer. ok, ive been checking out those transformers, they dont cost that much. but you had a 12 volt transformer, didn't you? but does it depend on the amperes also? Yes, I have 12 volt transformer but like I said it doesn't matter that much if the output for the mods is 11 or 12 volts. 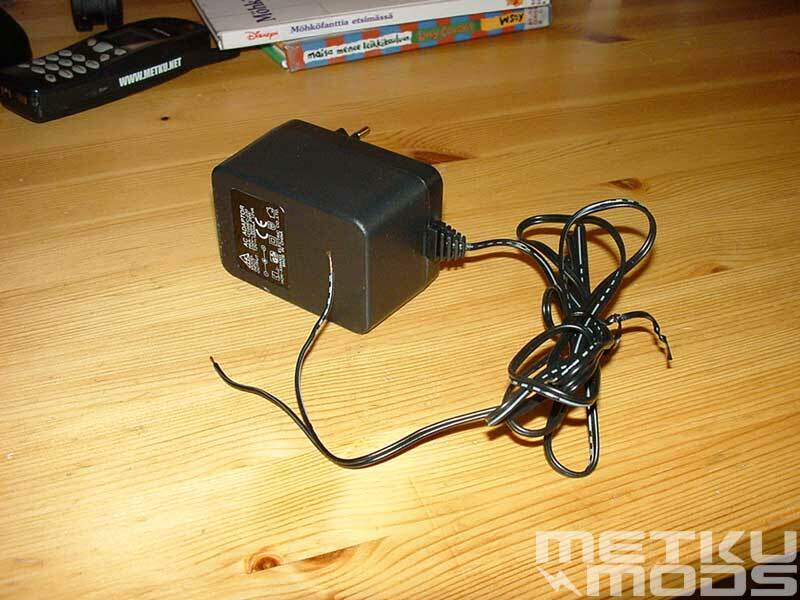 But if you want to make sure it is giving 12 volts, get that higher rated transformer. I just didn't remember to mention that in the article because I didn't measure the output voltage that accurately.